Google's Pierre Far posted on Google+ that Google has been updating their indexing systems to treat more ccTLDs, country-level top level domains, as generic TLDs. For example, domain.co.uk is specific to UK web sites or domain.co.il is specific to Israel web sites. 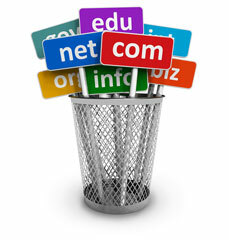 Some country specific TLDs, ccTLDs, have been used by a large number of webmasters as more generic TLDs. So Google has decided to treat 20 ccTLDs as if they were generic, and thus not weigh too much localization to sites using those ccTLDs in the Google algorithm. Note, Google said they "may change over time" so keep an eye on it over here. Lucky me, I use the .bz ccTLD for social sharing on this site via Twitter and other social networks. For example, the social share URL for this post is ser.bz/150wlMf.